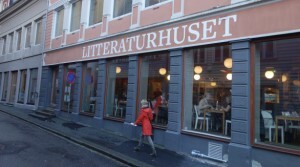 Join me at the Litteraturhuset in Bergen in Norway on Saturday 25th June when I will be teaching a day long workshop on how to write a novel. I will enable participants to put their ideas for a book into action, and strengthen their writing skills and focus, increasing their self-belief and drive to complete their own book. The course will begin with developing strategies to unblock the participants’ narrative voices. It will go on to explore different aspects of the novel, such as the crafting of characters, structure, plot, setting & writing style. The day will close with some tips on how to get published. The course will run from 10 until 5 p.m. with an hour break for lunch.